We recently installed the Square Appointments application on The Cline Law Group website to allow for web visitors to easily book an appointment. The Cline Law Group is a bankruptcy law firm in Oakland, CA. The firm uses Google Calendar to manage the attorney calendars and court date calendars. Before Square Appointments, prospective clients would need to call by phone to book a consultation appointment. We configured Square Appointments to sync with the attorney Google Calendars to show availability. We only set-up one service, a “free consultation”. The clients can book a time for the appointment, the law office receive a “pending appointment” and can confirm/deny by email or iPhone app. 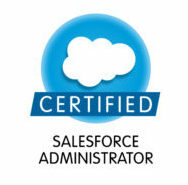 The client receives a confirmation email as well as reminder emails and texts before the appointment. We embedded the online appointment booking interface on the Cline Law Group website so it looks like a seamless part of the system. Within two weeks the office received five online appointment bookings. Two of the clients successfully used the online rescheduling option as well. Booked appointments are written to a separate Google Calendar than the attorney’s calendar. 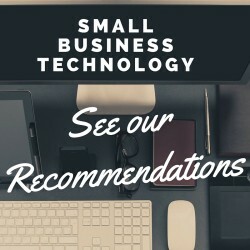 The law firm was already using Square to accept credit card payments so the appointment feature was a good way to add the online booking functionality without adding another online tool to our management stack. So far the tool has already paid for itself in additional client business. 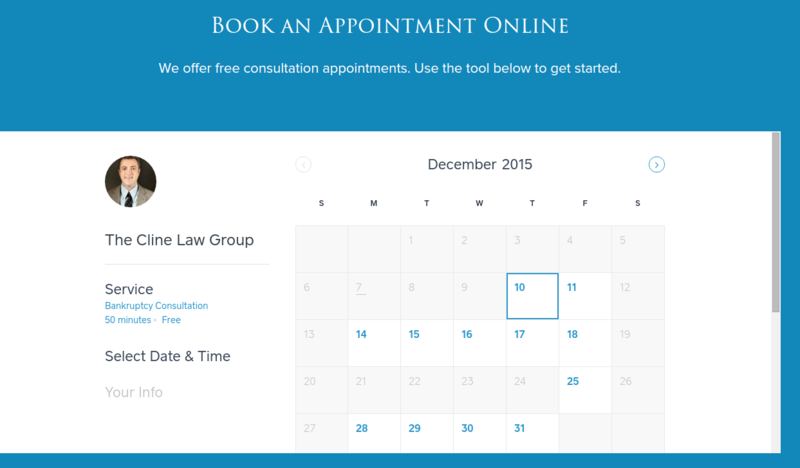 Are you interested in letting clients book appointments online? Worried you are going to lose control of your schedule? Contact us and we can walk you through the pros and cons of this system.